- Directeur de la thèse de Florent Gasparin, "Caractéristiques des masses d’eau, transport de masse et variabilité de la circulation océanique en mer de corail (Pacifique sud-ouest)", soutenue le 12 décembre 2012. 37. Gasparin, F., C. Maes, J. Sudre, V. Garcon and A. Ganachaud, Water mass analysis of the Coral Sea through an Optimum Multiparameter method, J. Geophys. Res. 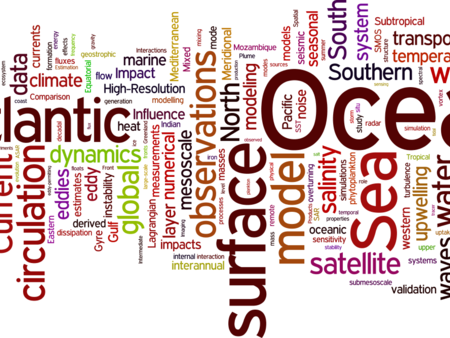 Oceans, 119, 7229–7244, doi:10.1002/2014JC010246, 2014. 36. Brown, J., C. Langlais, and C. Maes, Zonal Structure and Variability of the Western Pacific Dynamic Warm Pool edge in CMIP5, Clim. Dyn., 42:3061–3076, doi:10.1007/s00382-013-1931-5, 2014. 35. Maes, C. and T. O'Kane, Seasonal variations of the upper ocean salinity stratification in the Tropics, J. Geophys. Res. Oceans, 119, 1706-1722, doi:10.1002/2013JC009366, 2014. 34. Qu, T., Y. T. Song and C Maes, Sea surface salinity and barrier layer variability in the equatorial Pacific as seen from Aquarius and Argo, J. Geophys. Res. Oceans, 119, 15–29, doi:10.1002/2013JC009375, 2014. 33. Reul N., S. Fournier, J. Boutin, O. Hernandez, C. Maes, B. Chapron, G. Alory, Y. Quilfen, J. Tenerelli, S. Morisset, Y. Kerr, S. Mecklenburg and S. Delwart, Sea Surface Salinity Observations from Space with SMOS satellite: a new tool to better monitor the marine branch of the water cycle, Surv in Geophys, 35:681–722, doi:10.1007/s10712-013-9244-0, 2014. 32. Maes, C., B. Dewitte, J. Sudre, V. Garcon, and D. Varillon, Small-scale features of temperature and salinity surface fields in the Coral Sea, J. Geophys. Res., 118, 5426–5438, doi:10.1002/jgrc.20344, 2013. 30. Ganachaud, A., A. Sen Gupta, J. Brown, K. Evans, C. Maes, L. Muir, et F. Graham, Projected changes in the tropical Pacific Ocean of importance to tuna fisheries, Climatic Change, 119:163–179, doi:10.1007/s10584-012-0631-1, 2013. 29. Duprey, N., C. E. Lazareth, T. Corrège, F. Le Cornec, C. Maes, N. Pujol, M. Madeng-Yogo, S. Caquineau, C. Soares Derome, and G. Cabioch, Early mid-Holocene SST variability and surface-ocean water balance in the southwest Pacific, Paleoceanography, 27, PA4207, doi:10.1029/2012PA002350, 2012. 28. Gorman, M. K., T. M. Quinn, F. W. Taylor, J. W. Partin, G. Cabioch, J. A. Austin Jr., B. Pelletier, V. Ballu, C. Maes, and S. Saustrup, A coral-based reconstruction of sea surface salinity at Sabine Bank, Vanuatu from 1842 to 2007 CE, Paleoceanography, 27, PA3226, doi:10.1029/2012PA002302, 2012. 27. Gasparin, F., A. Ganachaud, C. Maes, F. Marin, and G. Eldin, Oceanic transports through the Solomon Sea: The bend of the New Guinea Coastal Undercurrent, Geophys. Res. Lett., 39, L15608, doi:10.1029/2012GL052575, 2012. 26. Alory, G., C. Maes, T. Delcroix, N. Reul, and S. illig, Seasonal dynamics of sea surface salinity off Panama: The Far Eastern Pacific fresh pool, J. Geophys. Res., 117, C4, doi:10.1029/2011JC007802, 2012. 25. Gasparin, F., A. Ganachaud, and C. Maes, A western boundary current east of New Caledonia: observed characteristics, Deep Sea Res. I, 58, 956-969, 2011. 24. Maes, C., and S. Belamari, On the impact of salinity barrier layer on the Pacific Ocean mean state and ENSO, Scientific Online Letters on the Atmosphere, 7, 97-100, 2011. 23. Ganachaud, A., A. Vega, M. Rodier, C. Dupouy, C. Maes, et al., Observed impact of upwelling events on water properties and biological activity off the southwest coast of New Caledonia, Marine Pollution Bulletin, 61, 449–464, 2010. 22. Maes, C., J. Sudre, and V. Garçon, Detection of the eastern edge of the equatorial Pacific warm pool using satellite-based ocean color observations, Scientific Online Letters on the Atmosphere, 6, 129-132, 2010. 21. Bosc, C., T. Delcroix, and C. Maes, Barrier layer variability in the western Pacific warm pool from 2000 to 2007, J. Geophys. Res., 114, C06023, doi:10.1029/2008JC005187, 2009. 20. Gourdeau, L., W. Kessler, R. Davis, J. Sherman, C. Maes, and E. Kestenare, Zonal jets entering the Coral sea, J. Phys. Oceanogr., 38, 715-725, 2008. 19. Maes, C., On the ocean salinity stratification observed at the eastern edge of the equatorial Pacific warm pool, J. Geophys. Res., 113, C03027, doi:10.1029/2007JC004297, 2008. 18. 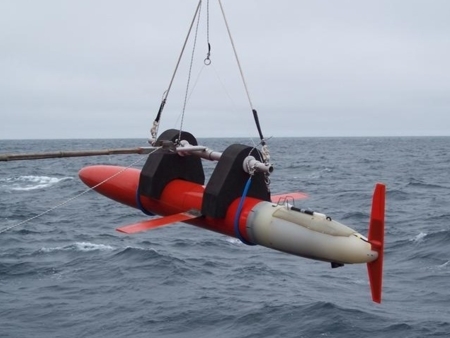 Maes, C., L. Gourdeau, X. Couvelard, and A. Ganachaud, What are the origins of the Antarctic Intermediate Waters transported by the North Caledonian Jet, Geophys. Res. Let., 34, L21608, doi:10.1029/2007GL031546, 2007. 17. Ferry N., E. Remy, P. Brasseur, and C. Maes, The MERCATOR global ocean operational analysis/forecast system: assessment and validation of a 11-year reanalysis, J. Mar. Syst., 65, 540-560, 2007. 16. Maes, C., K. Ando, T. Delcroix, W. S. Kessler, M. J. McPhaden, and D. Roemmich, Observed correlation of surface salinity, temperature and barrier layer at the eastern edge of the western Pacific warm pool, Geophys. Res. Lett., 33, L06601, doi:10.1029/2005GL024772, 2006. 15. Maes C., J. Picaut, and S. Belamari, Importance of salinity barrier layer for the buildup of El Niño. J. Climate, 18, 104-118, 2005. 14. Maes C., J. Picaut, Y. Kuroda, and K. Ando, Characteristics of the convergence zone at the eastern edge of the Pacific warm pool. Geophys. Res. Lett., 31, L11304, doi:10.1029/2004GL019867, 2004. 13. Maes C., M. J. McPhaden, and D. Behringer, Signatures of salinity variability in tropical Pacific Ocean dynamic height anomalies. Journal of Geophysical Research, 107(C12), 8012, doi:10.1029/2000JC000737, 2002a. 12. Maes C., J. Picaut, and S. Belamari, Salinity barrier layer and onset of El Niño in a Pacific coupled model, Geophysical Research Letters, 29(24), 2206, doi:10.1029/2002GL016029, 2002b. 11. Maes C., and D. Behringer, Using satellite-derived sea level and temperature profiles for determining the salinity variability: a new approach. Journal of Geophysical Research, 105, 8537-8547, 2000. 10. Maes C., Salinity variability in the equatorial Pacific Ocean during the 1993-98 period. Geophysical Research Letters, 27, 1659-1662, 2000. 09. Maes C., D. Behringer, R. W. Reynolds, and M. Ji, Retrospective analysis of the salinity variability in the western tropical Pacific Ocean using an indirect minimization approach. Journal of Atmospheric and Oceanic Technology, 17, 512-524, 2000. 08. Maes C., A note on the vertical scales of temperature and salinity and their signature in dynamic height in the western Pacific Ocean. Implications for data assimilation. Journal of Geophysical Research, 104, 11 037-11 048, 1999. 07. Maes C., M. Benkiran, and P. De Mey, Sea level comparison between Topex/Poseidon altimetric data and a global ocean general circulation model from an assimilation perspective. Journal of Geophysical Research, 104, 15 575-15 585, 1999. 06. Maes C., and D. Behringer, Sur une méthode d'analyse en composantes principales pour déterminer la variabilité haline des couches superficielles océaniques: application a l'océan Pacifique tropical ouest. Comptes Rendus de l'Académie des Sciences, 329, 597-602, 1999. 05. Dewitte B., G. Reverdin, and C. Maes, Vertical structure of an OGCM simulation of the equatorial Pacific Ocean in 1985-94. Journal of Physical Oceanography, 29, 1542-1570, 1999. 04. Maes C., Estimating the influence of salinity on sea level anomaly in the ocean. Geophysical Research Letters, 25, 3551-3554, 1998. 03. Maes C., P. Delecluse and G. Madec, Impact of westerly wind bursts on the warm pool of the TOGA-COARE domain in an OGCM. Climate Dynamics, 14, 55-70, 1998. 02. Boulanger J-P., P. Delecluse, C. Maes and C. Lévy, Long equatorial waves in a high-resolution OGCM simulation of the tropical Pacific ocean during the 1985-1994 TOGA period. Monthly Weather Review, 125, 972-984, 1997. 01. Maes C., G. Madec and P. Delecluse, Sensitivity of an equatorial Pacific OGCM to the lateral diffusion. Monthly Weather Review, 125, 958-971, 1997. - Auteur d'un chapitre dans "Compendium of marine species from New Caledonia"
- Auteur d'un chapitre dans "The Natural History of Santo"
- co-Auteur du chapitre 3 dans "Vulnerability of Tropical Pacific Fisheries and Aquaculture to Climate Change"